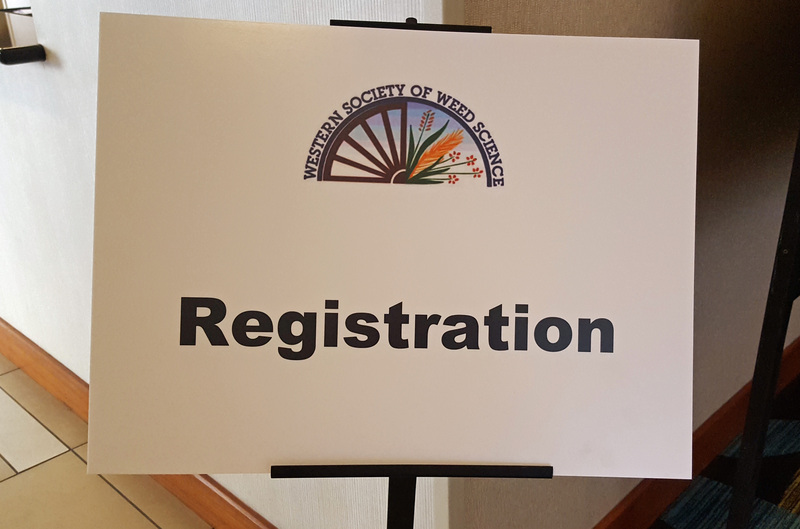 Earlier this month, I went to Garden Grove, California to attend the 71st annual meeting of the Western Society of Weed Science. My trip was funded by an Education and Enrichment Award presented by the Pahove Chapter of the Idaho Native Plant Society. It was a great opportunity for a weeds-obsessed plant geek like myself to hang out with a bunch of weed scientists and learn about their latest research. What follows are a few highlights and takeaways from the meeting. Apart from opening remarks and news/business-y stuff, the general session featured two invited speakers: soil ecologist Lydia Jennings and historian David Marley. Lydia’s talk was titled “Land Acknowledgement and Indigenous Knowledge in Science.” She started by sharing a website called Native Land, which features an image of the Earth overlayed with known “borders” of indigenous territories. By entering your address, you can see a list of the tribes that historically used the land you now inhabit. It is important for us to consider the history of the land we currently live and work on. Lydia then compared aspects of western science and indigenous science, pointing out ways they differ as well as ways they can be used in tandem. By collaborating with tribal nations, weed scientists can benefit from traditional ecological knowledge. Such knowledge, which has historically gone largely unrecognized in the scientific community, should receive more attention and acknowledgement. David Marley was the comic relief. Well-versed in the history of Disneyland, he humorously presented a series of stories involving its creation. Little of what he had to say related to weed science, which he openly admitted along the way; however, one weeds related story stood out. Due to a lack of funds, the early years of Tomorrowland featured few landscape plants. To make up for that, Walt Disney had signs with fake Latin names created for some of the weeds. I spent the last half of the first day in the “Weeds of Range and Natural Areas” session where I learned about herbicide ballistic technology (i.e. killing plants from a helicopter with a paintball gun loaded with herbicide). This is one of the ways that Miconia calvescens invasions in Hawaii are being addressed. I also learned about research involving plant debris left over after logging. When heavy amounts of debris are left in place, scotch broom (Cytisus scoparius) infestations are thwarted. There was also a talk about controlling escaped garden loosestrife (Lysimachia punctata) populations in the Seattle area, as well as a few talks about efforts to control annual grasses like cheatgrass (Bromus tectorum) in sagebrush steppes. Clearly there are lots of weed issues in natural areas, as that only covers about half the talks. On the morning of the second day, the “Basic Biology and Ecology” session held a discussion about weeds and climate change. 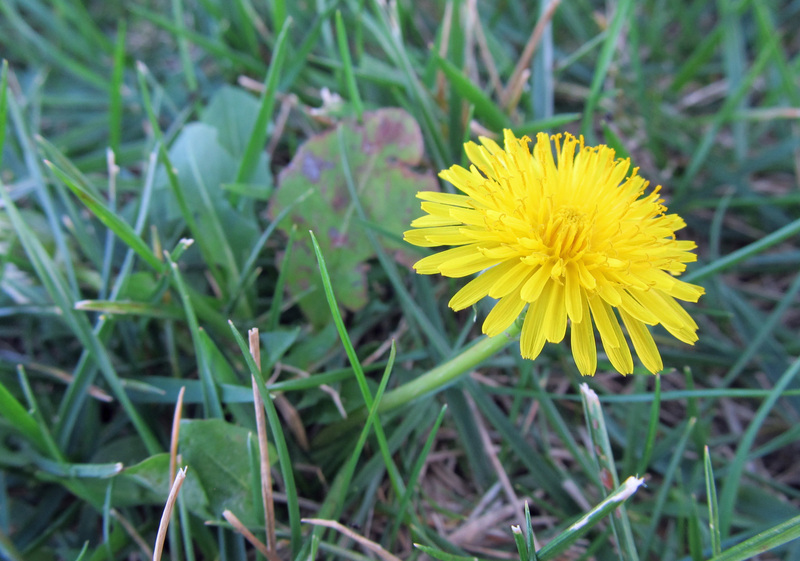 As climate changes, weeds will adapt and find new locations to invade. Perhaps some weeds won’t be as problematic in certain areas, but other species are sure to take their place. Understanding the changes that are afoot and the ways that weeds will respond to them is paramount to successful weed management. This means documenting the traits of every weed species, including variations between and among populations of each species, so that predictions can be made about their behavior. 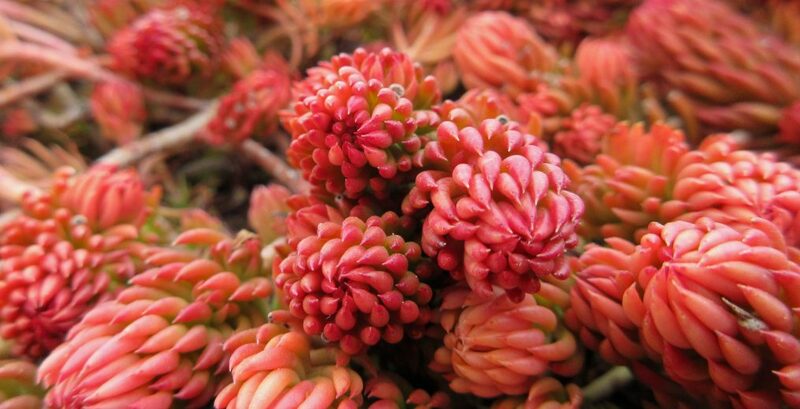 It also means anticipating new weed species and determining ways in which weeds might exploit new conditions. No doubt there is much to learn in order to adequately manage weeds in a changing climate. An idea brought up during the discussion that I was particularly intrigued by was using citizen scientists to help gather data about weeds. 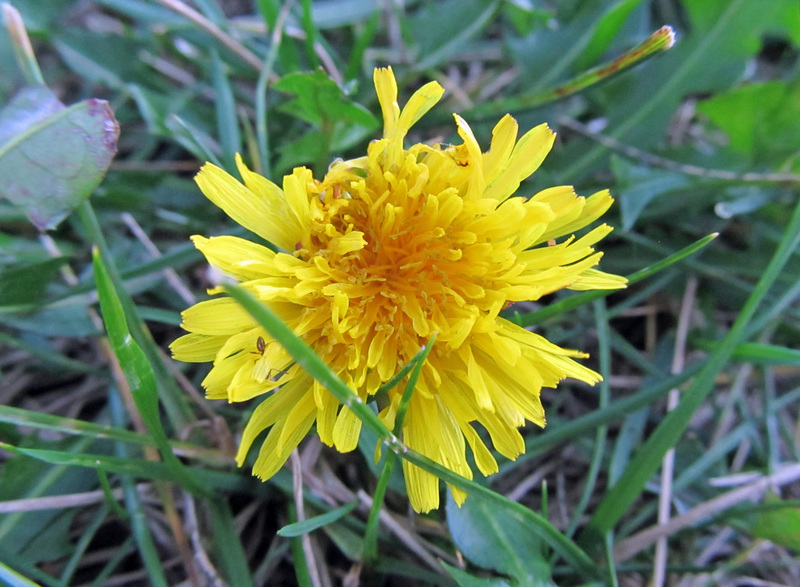 Similar to other organizations that collect phenological data from the public on a variety of species, a website could be set up for citizen scientists to report information about weeds in their area, perhaps something like this project in New Zealand. Of course, there are already a series of apps available in North America for citizen scientists to report invasive species sightings, so it seems this is already happening to some degree. A highlight of the afternoon’s “Teaching and Technology Transfer” session was learning about the Wyoming Restoration Challenge hosted by University of Wyoming Extension. This was a three year long contest in which thirteen teams were given a quarter-acre plot dominated by cheatgrass with the challenge to restore the plant community to a more productive and diverse state. Each team developed and carried out their own strategy and in the end were judged on a series of criteria including cheatgrass and other weed control, plant diversity, forage production, education and outreach, and scalability. Preliminary results can be seen here; read more about the challenge here and here. Because multiple sessions were held simultaneously, I was unable to attend every talk. I also had to leave early on the third day, so I missed those talks as well. However, I did get a chance to sit in on a discussion about an increasingly troubling topic, herbicide-resistant weeds, which included a summary of regional listening sessions that have been taking place in order to bring more attention to the subject and establish a dialog with those most affected by it. One final highlight was getting to meet up with Heather Olsen and talk to her briefly about her work in updating the Noxious Weed Field Guide for Utah. This work was aided by the Invasive Plant Inventory and Early Detection Prioritization Tool, which is something I hope to explore further. If you are at all interested in weeds of the western states, the Western Society of Weed Science is a group you should meet. They are fun and friendly people who really know their weeds. This entry was posted in Horticulture and Agriculture, Plant Ecology, Reviews and Recommendations and tagged cheatgrass, citizen science, climate change, Disneyland, garden loosestrife, herbicide resistance, Idaho Native Plant Society, indigenous knowledge, invasive plants, noxious weeds, plant science research, reviews, tribal nations, weed science, weeds, Western Society of Weed Science, Wyoming Restoration Challenge. Bookmark the permalink. Thank you for the very informative article. I have read many of your posts and have enjoyed them. I really appreciate the links you offer within the post so I can read more. I’m glad you enjoyed the meetings. It was great to meet you in person, as well! I’m sorry I missed the discussion about weeds and climate change (I can’t remember what I was listening to instead) but it sounds like it was interesting. I’ve been both a contributor and a user of the EddMapsWest data and it is a very useful (if somewhat frustrating at times) tool.